This move-in ready home is priced to sell! 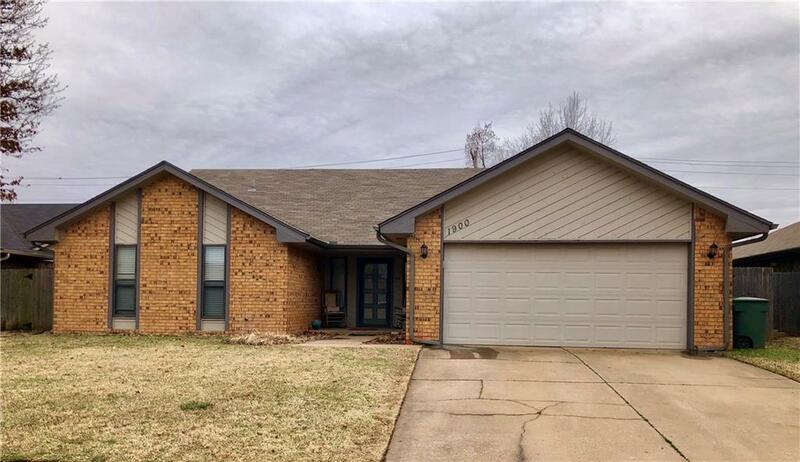 Come see this 3 bed, 2 bath home that offers LARGE rooms, vaulted ceilings in the living room, kitchen with granite counter tops, a storm shelter, and more. The living room is spacious and has a fireplace. The living room flows into the dining area and kitchen. The kitchen has ample storage space. The master bedroom is large with a built-in desk and a walk-in closet. The secondary bedrooms are also large. The front bedroom has direct access to the hallway bath. The hallway bathroom has double sinks and a separate shower/toilet room. The back patio is a great space for entertaining and overlooks the backyard with a beautiful, large tree and is fully fenced. Come see your new home before it is too late.